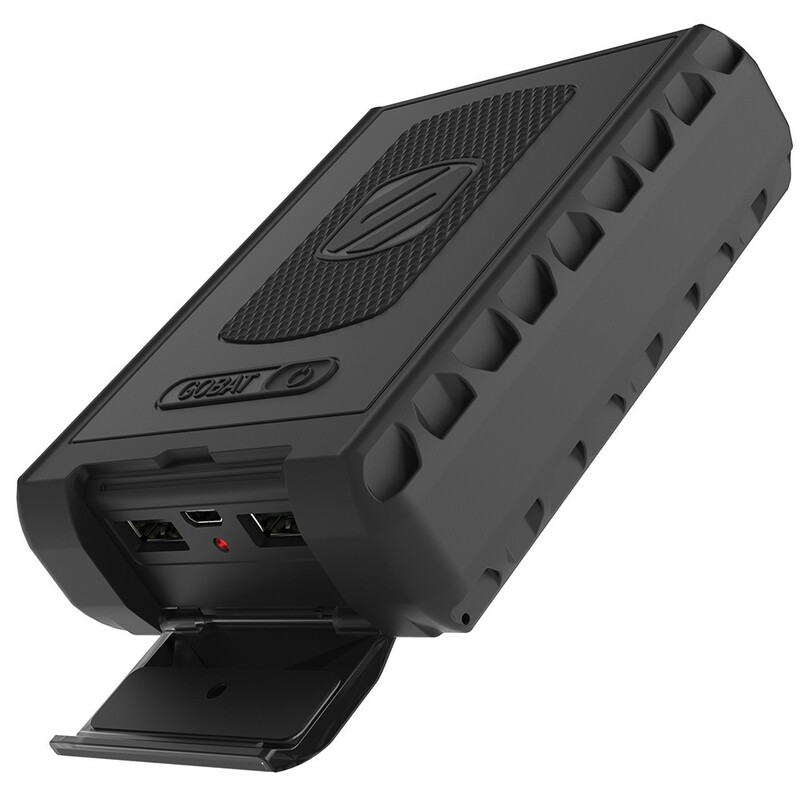 The goBAT™ 6000/12000 is a rugged portable backup battery for charging your devices on the go. It's extremely rugged, with an IP68 waterproof/dustproof up to 3 meters and Military Spec 810G Drop/Shock construction. It contains a 6000/12000 mAh battery of pure power, capable of charging most smartphones up to 3/6 times. The battery comes fully charged and has a multi-color LED indicator that will display the battery power level. Its high-power USB port (up to 12W/2.4A) auto-detects the fastest possible charge speed for your connected mobile device. It even comes equipped with a metal alloy loop and carabiner to clip your goBAT™ securely to your gear. 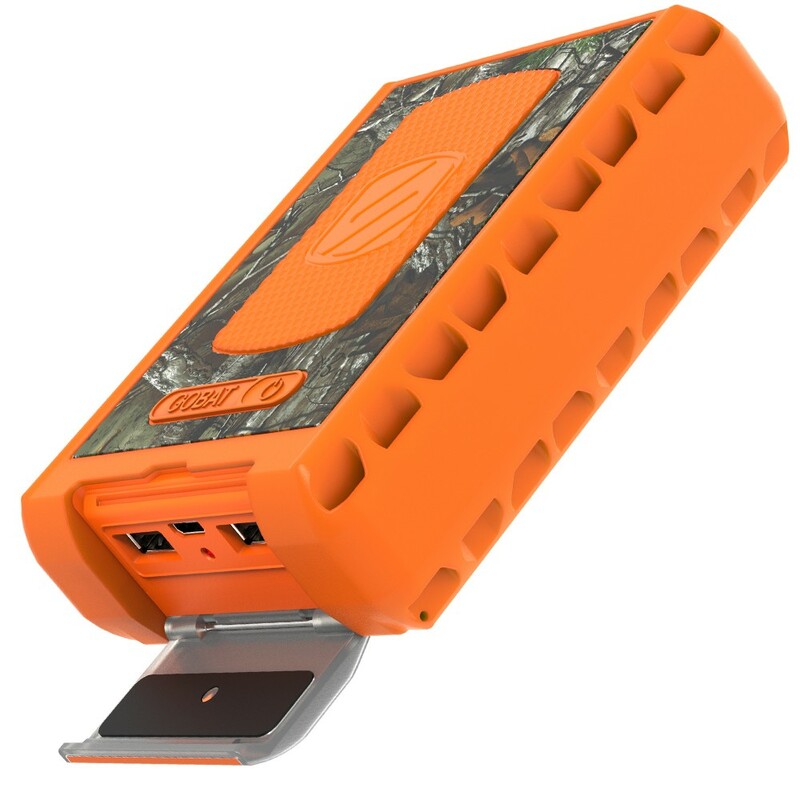 This rugged backup battery has been built and tested to endure the rigors of the outdoors. Rigid High-impact polycarbonate housing with a durable IP68 Dustproof/Waterproof construction. With a 6000/12000 mAh internal rechargeable battery, you virtually have days worth of power for your mobile devices. This Rugged waterproof back-up battery can charge an iPhone 6S up to 3/6 times. Take this battery on any trip and never have to worry about your mobile device dying! 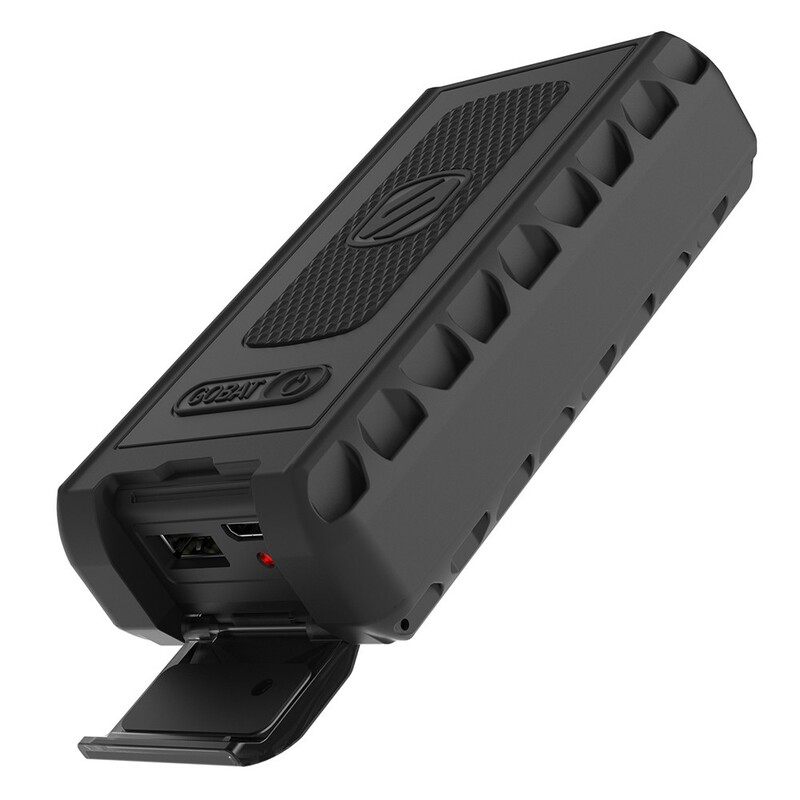 The goBAT 6000/12000 comes fully charged right out of the box so you can plug-in and go! A 12 Watt USB port gives you the fastest charging speed possible. Some of the latest mobile devices have been designed to charge at 12 Watts, making this rugged backup battery the ideal backup battery for these devices. Optimized charging circuitry will not cause any harm to less powerful devices - iPhones and iPods will also charge at the fastest speeds possible. Your goBAT 6000/12000 purchase includes a handy carabiner clip, great for hooking your new battery to a backpack. And it also comes with a USB charging cable so you are ready to go. 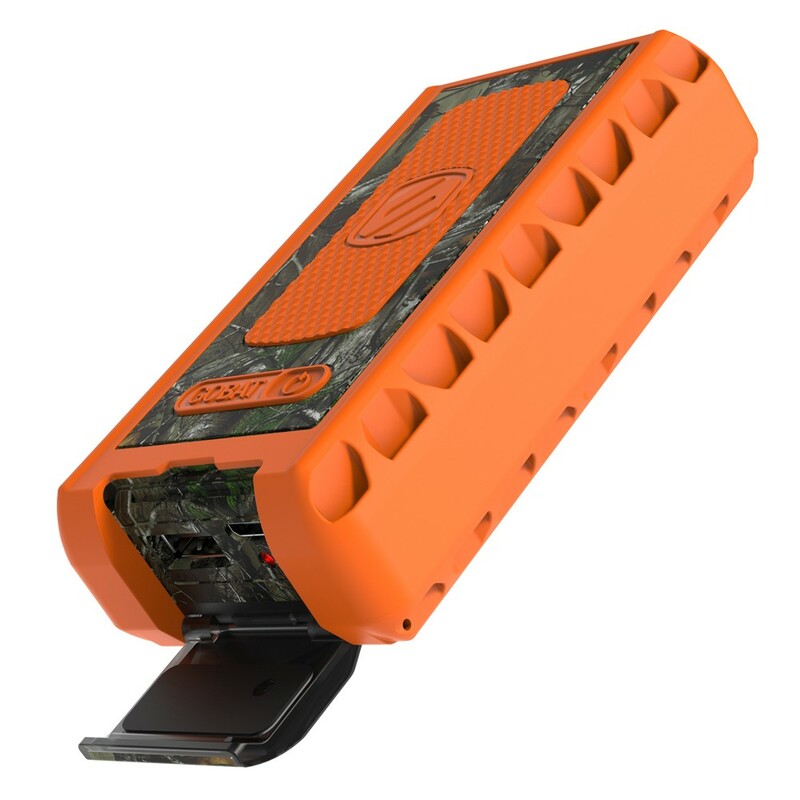 This rugged backup battery has been built and tested to endure the rigors of the outdoors. That's what we feel confident enough to offer them with an industry-leading lifetime limited warranty.